Why am I baking this cake? Because I was asked to. Our auntie J loves ginger cake. She is craving and seeking for a moist and flavoursome kind of ginger cake but can't find anything that she wants in most cake shops in Singapore. She eventually gives up searching and requested me, the baking woman of our family to bake her this super ginger-y cake and transport the cake back to Singapore. 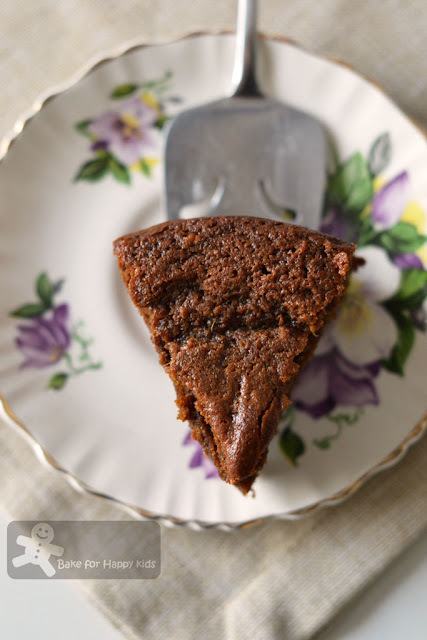 This English-traditional and well-reviewed ginger cake by BBC Good Food is the kind of ginger cake recipe that I am after. This BBC recipe originally uses stem ginger which is young ginger that has been peeled and preserved in sugar syrup. Being "lazy", I didn't search for this English ingredient in Melbourne and assumed that I can substitute this with crystallised ginger. Having said that, I actually didn't substitute stem ginger with crystallised ginger in this bake. Our auntie J didn't like her cake too sweet and wants her cake to be fully packed with ginger flavours and so we baked this cake with fresh ginger instead! My son and I love auntie J and very happy baking this cake for her. Despite all the love that we have given to this cake, we didn't like the strong ginger-y smell of this cake and kept the whole cake for auntie J. So, did auntie J like this cake?... Yes, she loves it! She actually keep it in her freezer and limits herself to eat only one slice in every few weeks, hoping that her ration will last her until our next Singapore trip - Poor auntie J! Now, we know... We will bake more of this cake for her in the future. Look! 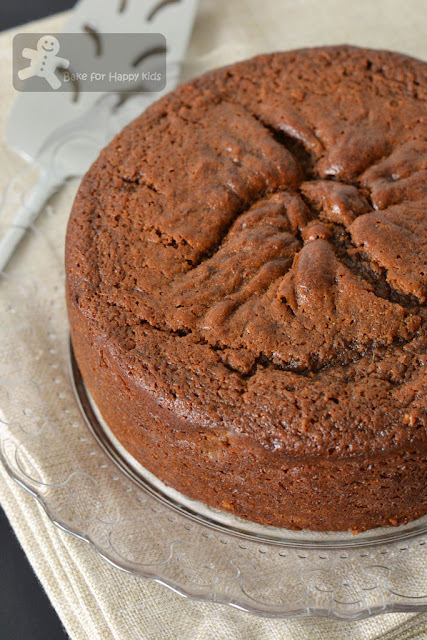 There is lots of ginger in this cake! Mixing the cake batter - Super easy! Wanna try a slice of this cake? Seriously, if you are not a very ginger person, please do not try baking this cake with fresh ginger at home. Use stem ginger instead... or unless you are auntie J! - LOL! Preheat the oven to 180°C or 160°C fan forced. Butter and line an 18cm round, 7cm deep cake tin with greaseproof or parchment paper. 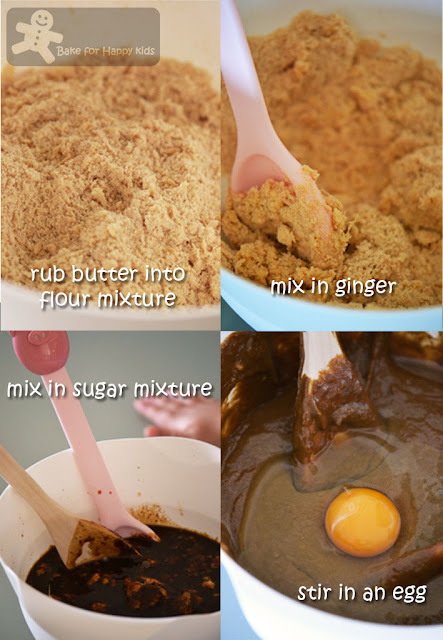 Put the flour, bicarbonate of soda (or baking powder) and all the spices into a large mixing bowl. Add the butter and rub it into the flour with your fingertips until the mixture resembles fine breadcrumbs. 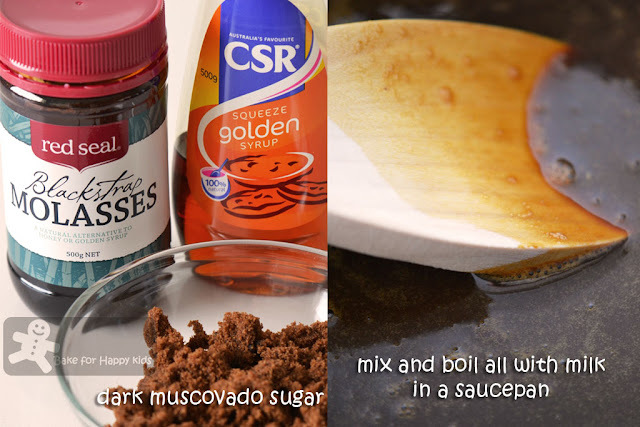 Put the sugar, treacle (or molasses), syrup and milk in a medium saucepan and heat, gently stirring until the sugar has dissolved. Turn up the heat and bring the mixture to just below boiling point. Cake keeps for up to 2 weeks stored in an airtight container. Note: Using 80% of the recipe with 1 small egg, I have baked this cake with 16cm round cake tin at 160°C fan forced for 60 mins. I didn't reduce the sugar content at all because I used fresh ginger instead of stem ginger to bake this cake. My missus would love this! She loves ginger bread, ginger cookies, ginger everything... LOL!!! I got some Bentong ginger powder from a friend - supposed to have medicinal properties. That probably would be a good substitute when baking. Thanks for dropping by my blog. I've linked you in my blogroll. Ginger is a spice that I have come to love over time. Many years ago, I bit into crystalized ginger and it nearly knocked me down(laugh) with the intensity of the flavor. It took me awhile to recover my taste for ginger but, when I did, it was a good thing. I really enjoy ginger now. The cake looks so delicious , I love ginger ... I will try my hand at this one as soon as I get my nerves up :) I will take your advice and use stem ginger . That cake looks so sticky! (in a good way!) Possibly a bit too strong in ginger flavour for me but I bet my brother would absolutely love this. Glad it got a big thumbs up from Auntie J! 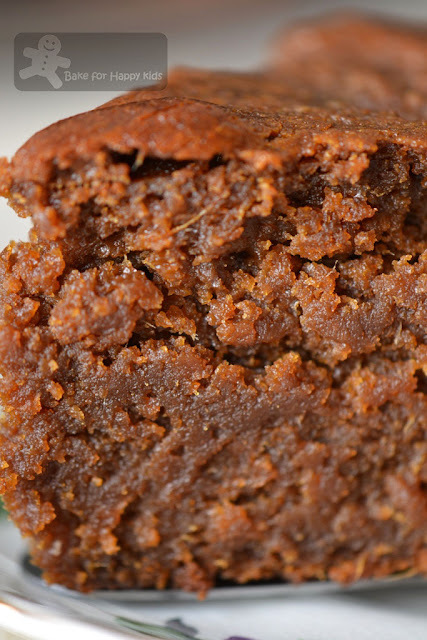 your ginger cake looks so moist and gooey! whenever i make a ginger cake i go the extra lazy mile and just use ground ginger...how awful. It looks amazing, but I'm with you-too much ginger is not for me either. What if you only put a tiny bit of ginger? The cake looks a bit like sticky toffee pudding-so moist! 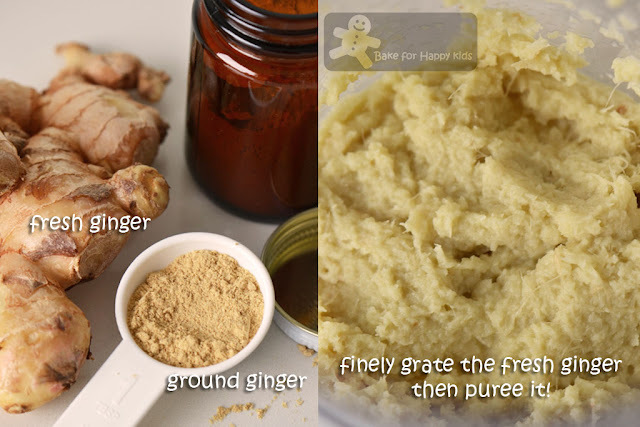 I love ginger and use it in daily cooking! This cake sounds good to me , will try it..
Stupendoooo.come piace a me..mi segno la ricetta. I love ginger... though I m not sure if I would like it in a cake.... regardless.. your ginger cake looked really moist.. nice one! Looks moist and yummy, Zoe. I'm also not used to baking with ginger, so still thinking of what to make for this month's LTU. Your ginger cake looks so moist! 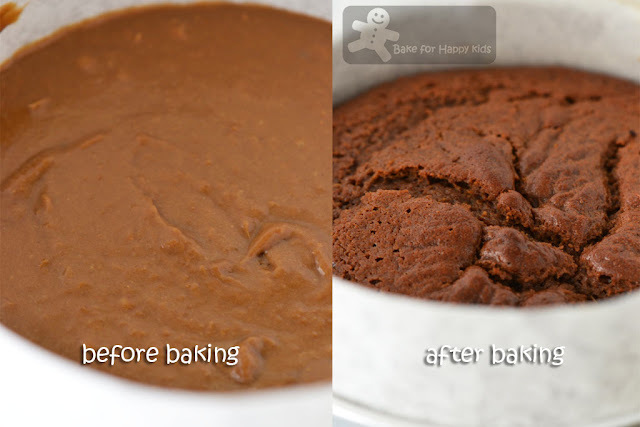 I was planning on baking a ginger cake too, but until I get a new oven, I CANNOT bake any cakes!!! I would love to try your cake, I like ginger a lot! I must confess, Zoe, I'm not too crazy about ginger-y cakes either. However, your Auntie J is so lucky to have you and your son make such a special cake for her. And then you share it with us! love this gingerly cake. definitely try out. This looks divine, Zoe - I LOVE ginger cake. Hi Zoe! You added both fresh and powder ginger? Power! Such a stunning,super moist and gooey cake,love to have a huge slice. I will only eat ginger cake if there is fruits in it, had ginger and pear cake once. I'm sure Auntie J is waiting eagerly for your next ginger cake! Great job. Need to find some recipe with ginger in it ! Nothing beats the fantastic flavor of freshly-grated ginger er ginger lover here lol The cake looks wonderful , Zoe ! I'm sure it's super yummy! Saw the ginger event at Alvin's blog; will try to find time to participate. 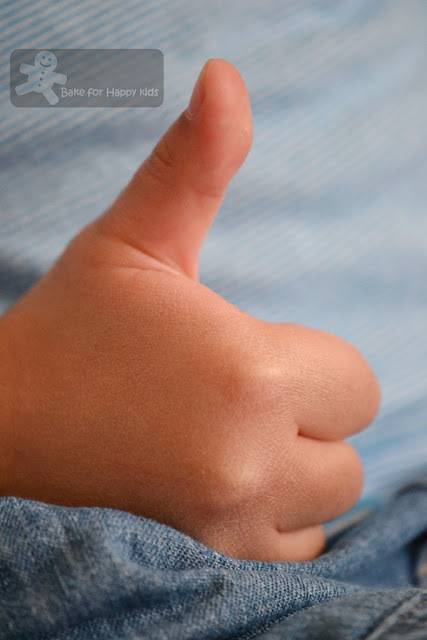 Love the thumbs-up pix! Super cute! this gingery cake must b so precious to anutie J..have to eat slowly and wait till next year for another cake of yours :D. I like ginger in chinese cooking , not sure if i like them in cakes but a little is okay for me too . When i was a kid, i used to eat lots of ginger cookies - the chinese type. Nowadays we can hardly get them. 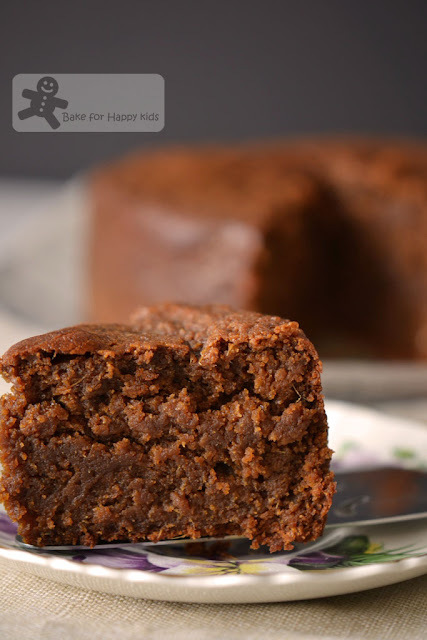 Your goey ginger cake really brings back memories :) i love all goey cake, this one sure packs a punch! I love ginger cake! I think I have one in the freezer. Oh how I do love ginger cake. It reminds me of being a kid again! Hope to get involved in the Curtis Stone/Ginger blog hops this month. Have been very busy and as such, not been blogging much! crystallised ginger is sold everywhere, in Coles, Collonial Markets and also in health food shops. Thanks for your info! This recipe uses stem ginger which is not easily available at Melbourne. I thought of this ingredient with crystallised ginger which I know that it can be purchased at any markets, Coles or any supermarkets but choose to use fresh ginger instead for a less sugar and more ginger-y taste. Cheers! Hope you are having a fun weekend Zoe! Your little 'R' must be really proud of himself baking a cake specially for auntie J. Hope you're having a lovely week ahead dear. The original recipe uses stem ginger but I have replaced it with fresh ginger because my auntie loves it. I remember using a big piece of fresh ginger to bake this tiny cake and wouldn't recommend you doing that unless you are a die-hard ginger fan like my auntie. Maybe try using a quarter fresh ginger with three quarter amount of stem ginger first and see if you like the strong gingery taste.